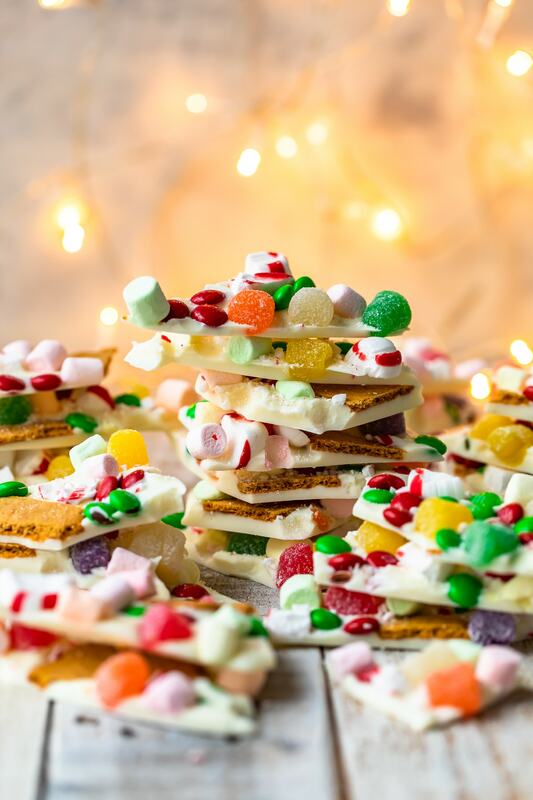 Gingerbread House White Chocolate Bark is a fun and festive Christmas Bark sprinkled with marshmallows, soft peppermints, gumdrops, M&Ms, and of course ginger cookies! This Gingerbread House Bark Recipe has all the flavors you might find on a classic gingerbread house, but with none of the fuss. 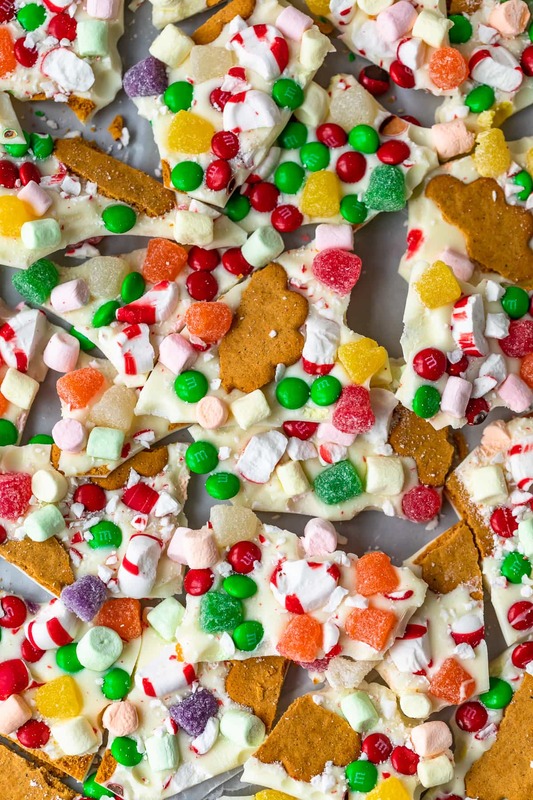 This Gingerbread House Chocolate Bark is so cute and festive…but most importantly EASY! 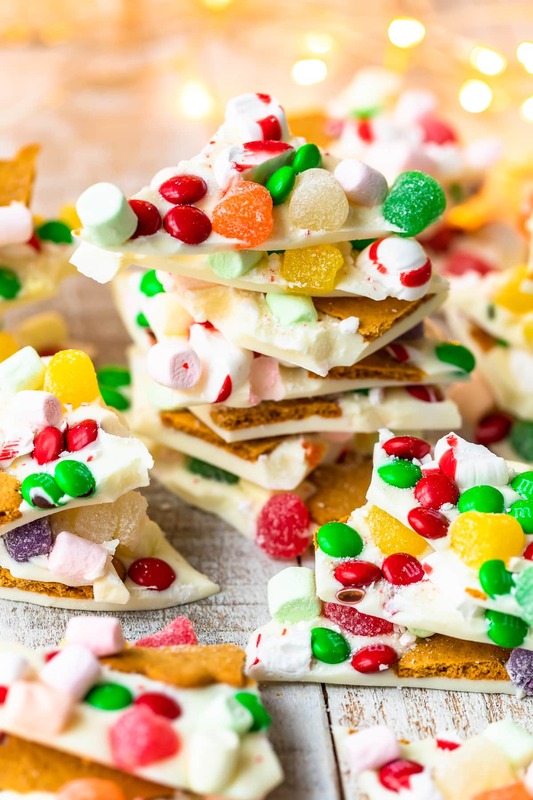 Christmas Bark is an awesome treat for the holiday season. 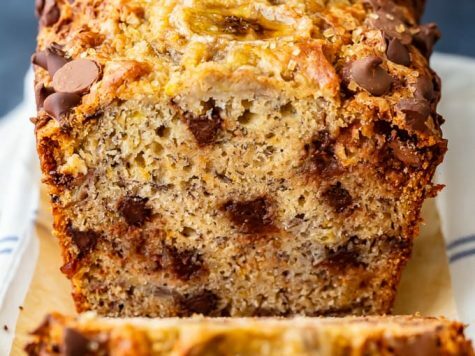 It can be thrown together in minutes, customized with so many different flavor combos, and even used for homemade gifts! I decided to make things extra cute and fun this year by making a deconstructed Gingerbread House in the form of Chocolate Bark! 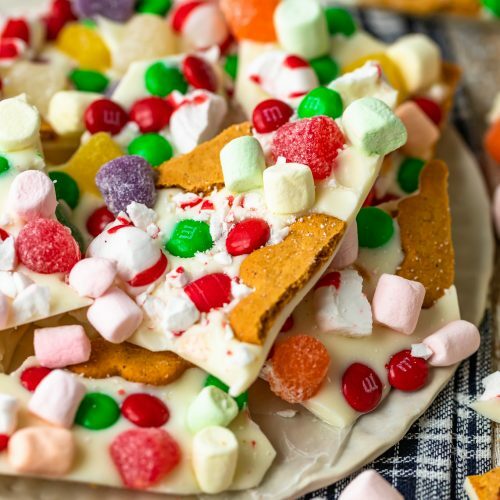 This Gingerbread House Chocolate Bark is simple, cute, and so unique. Perfect for Christmas! Peppermint Bark is traditionally made with almond bark (or white chocolate) and crushed peppermints. 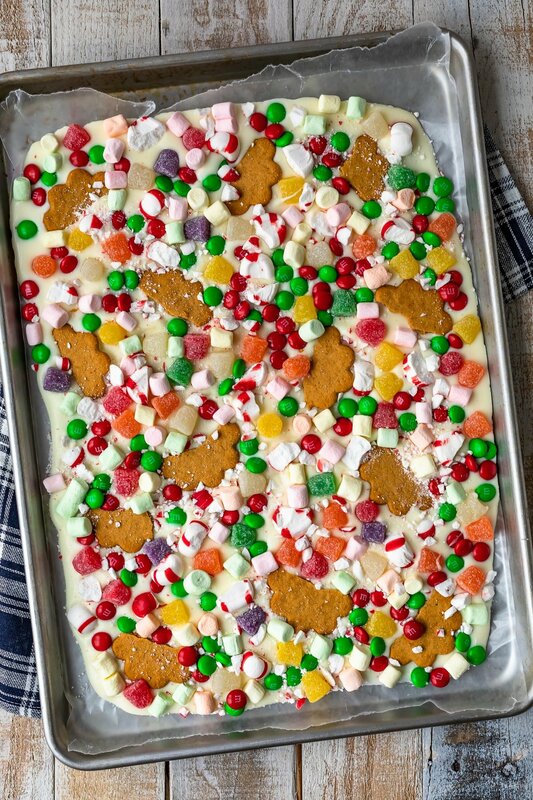 It has a great flavor and is so fun, especially at Christmas time. 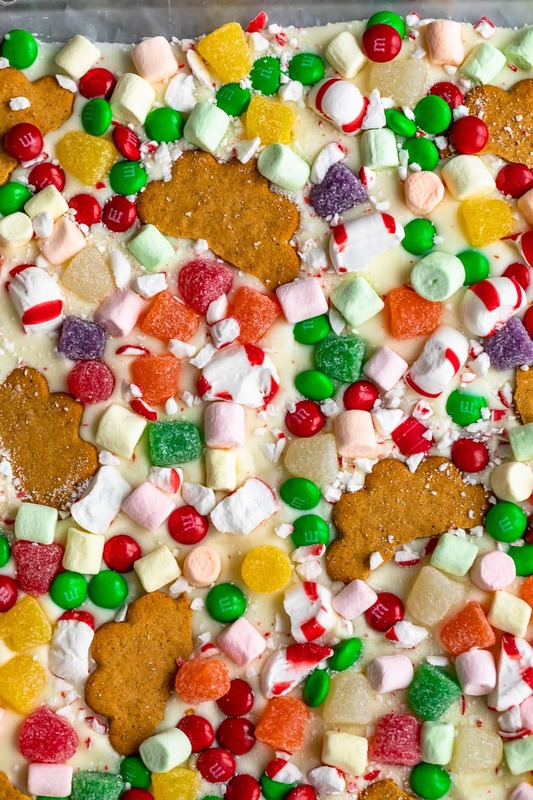 You could make this bark that way by just adding crushed soft peppermints and leaving out the other ingredients. Peppermint Bark makes a wonderful Christmas gift when sealed in an airtight container. Should I refrigerate Chocolate Bark? You can, but you don’t have to. Just store in a cool dry place in an airtight container to make sure the toppings don’t get too brittle. 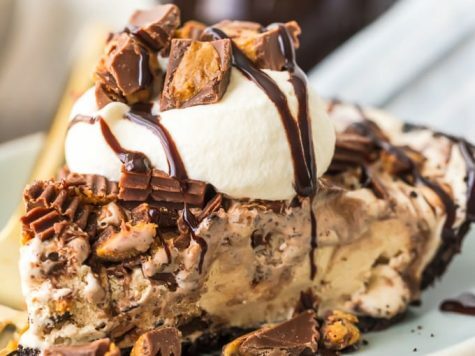 If you’re making this during a hot time of year, sometimes refrigerating is best so that the chocolate and toppings don’t melt. When making Chocolate Bark I love to use Almond Bark. Kind of a double standard…right? I guess I’m not using quite the right title since I’m not technically using white chocolate. Almond Bark is a chocolate-like candy made to melt easily and work great for desserts like this chocolate bark. It’s vanilla flavored, and tastes very similar to white chocolate. It doesn’t actually contain almonds…it was originally named “almond bark” because it worked great for making…almond bark! Almond Bark is traditionally a chocolate bark sprinkled with chopped almonds. Still with me?? A little confusing, I know. Almond Bark is made with vegetable fats instead of cocoa butter. 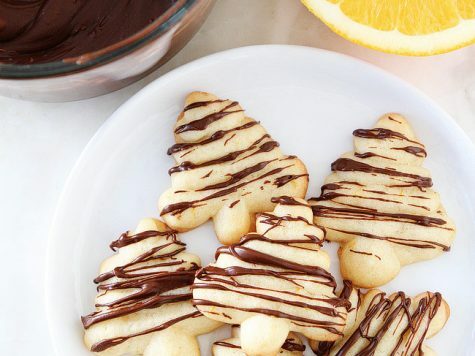 It melts like a DREAM with no extra oils added, making it simply perfect for this Christmas Bark Recipe. You can use White Chocolate, but I find it a little temperamental when melting, so I definitely recommend almond bark. 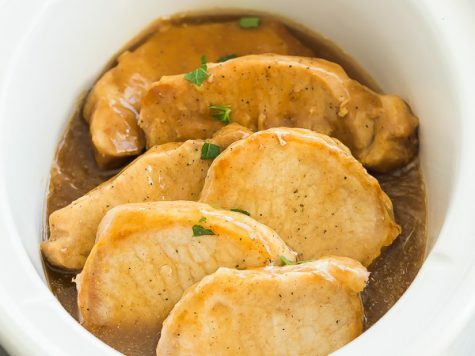 You can see some examples in the recipe card! Melt the almond bark in the microwave in 60 second increments until smooth. Stir in between each time in the microwave. It took about 2 minutes to melt for me. Pour melted almond bark over the wax paper and use an offset spatula or spoon to smooth out into 1/3 layer. Sprinkle with all the ingredients that you’d like to use onto the bark. Use as much or as little as you’d like. Press down with your hands to make sure they’ve adhered to the bark. Allow to chill in the fridge until fully firm, about 2 hours. 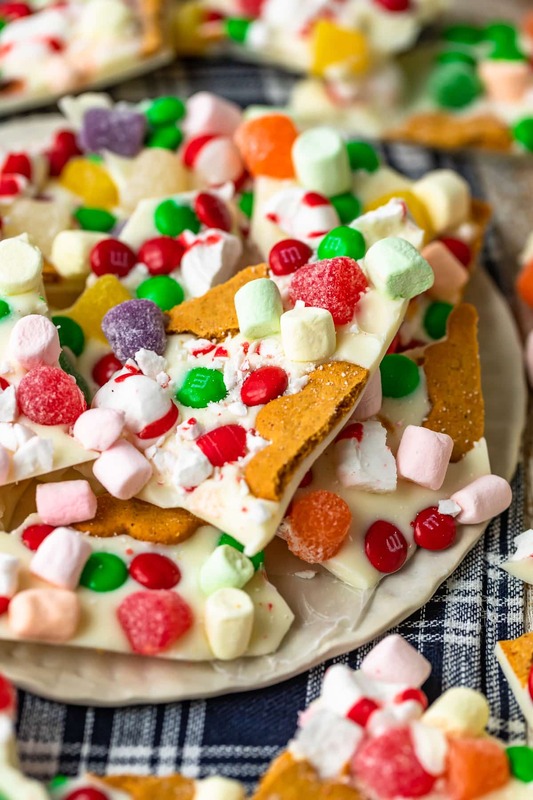 I just think this White Chocolate Bark (Deconstructed Gingerbread House Bark) is so fun for Christmas. Kids love making it as much as adults love eating it!! 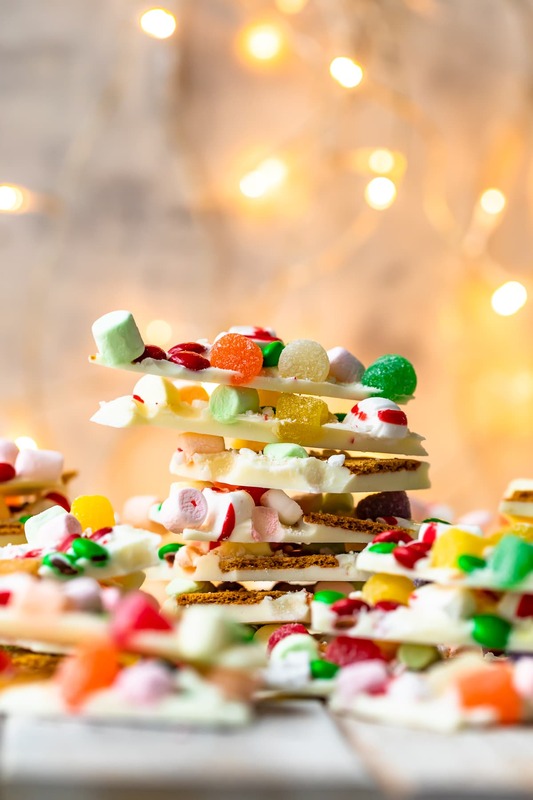 This Gingerbread House White Chocolate Bark Recipe is super fun, SO EASY, and perfect for Christmas. 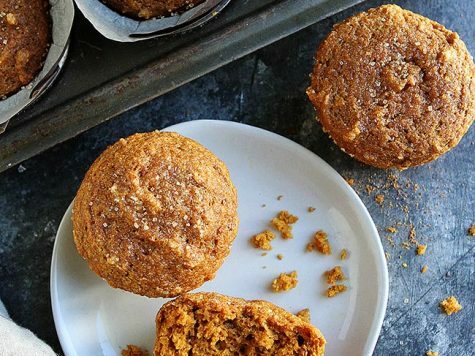 It’s fun to make for and WITH the kids this holiday season! 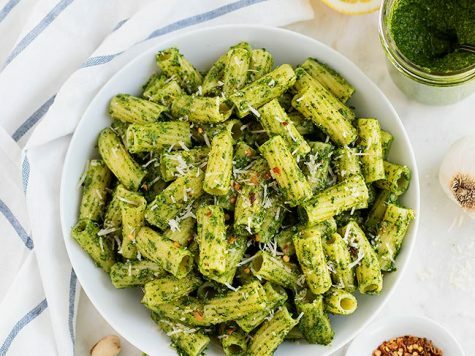 Be sure to get creative and use any toppings that your family loves best. Merry Christmas! 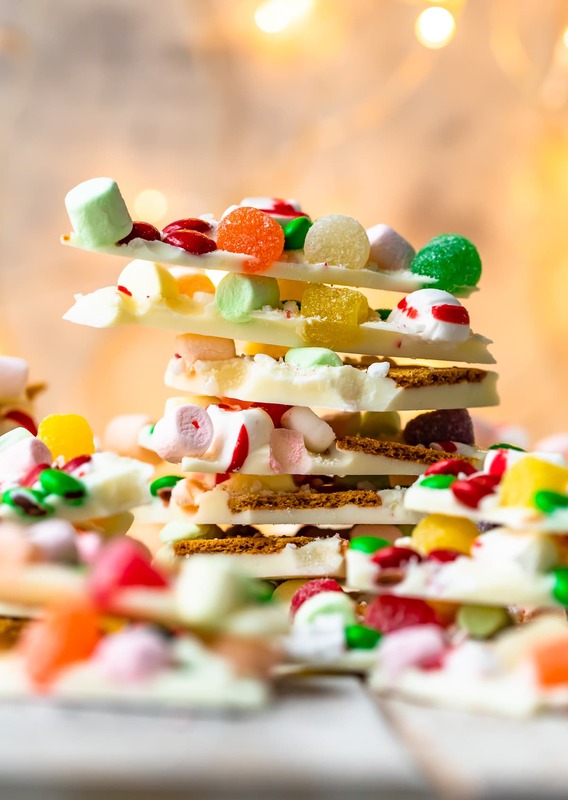 See the recipe card for details on How to Make White Chocolate Bark for Christmas!